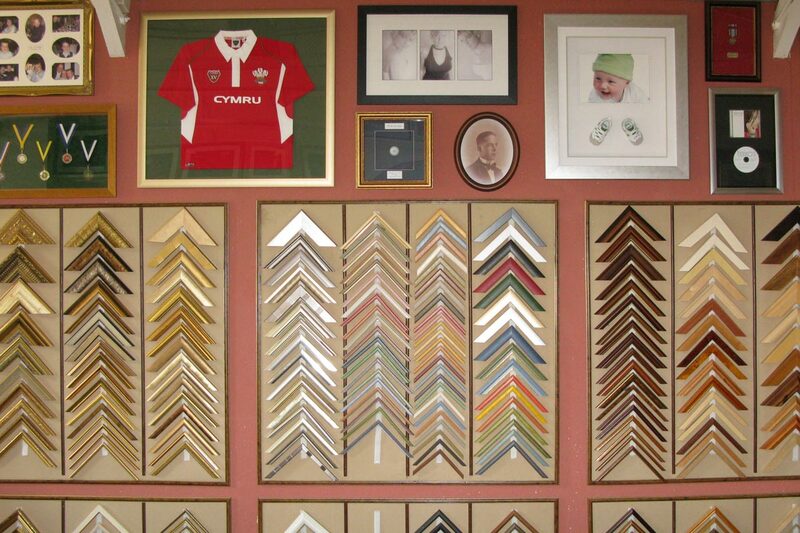 We carry out every possible type of framing service imaginable. 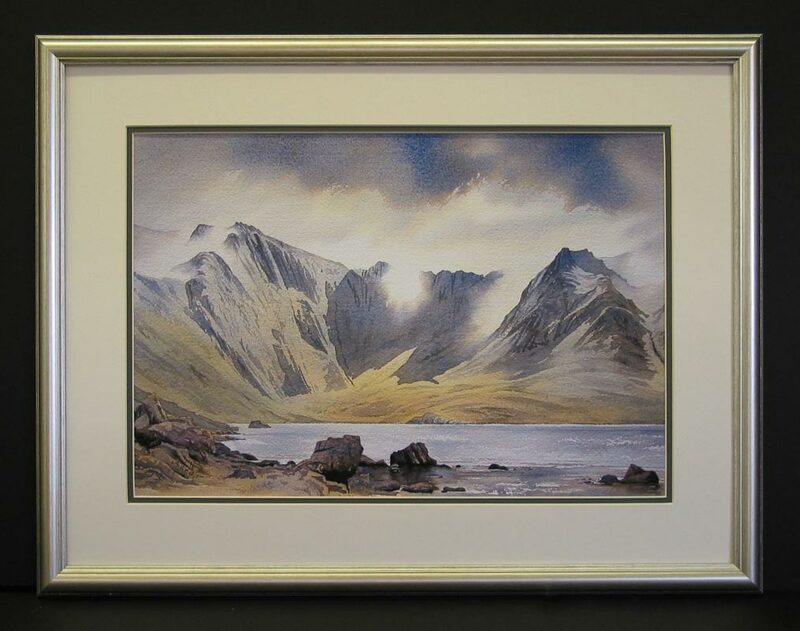 Watercolours, Oil paintings, Photographs, Certificates etc. 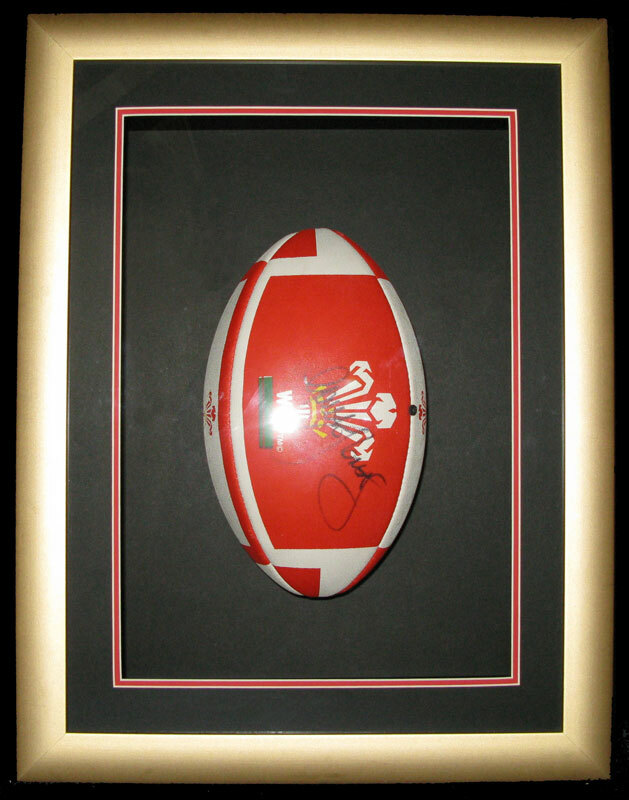 Football shirts, Rugby balls, Babies shoes, Plates, Medals, Muti-apperture frames, Fans, Jigsaws, Embroidaries and tapestries, Love-spoons, Mirrors, Wedding cake icing decorations, etc. 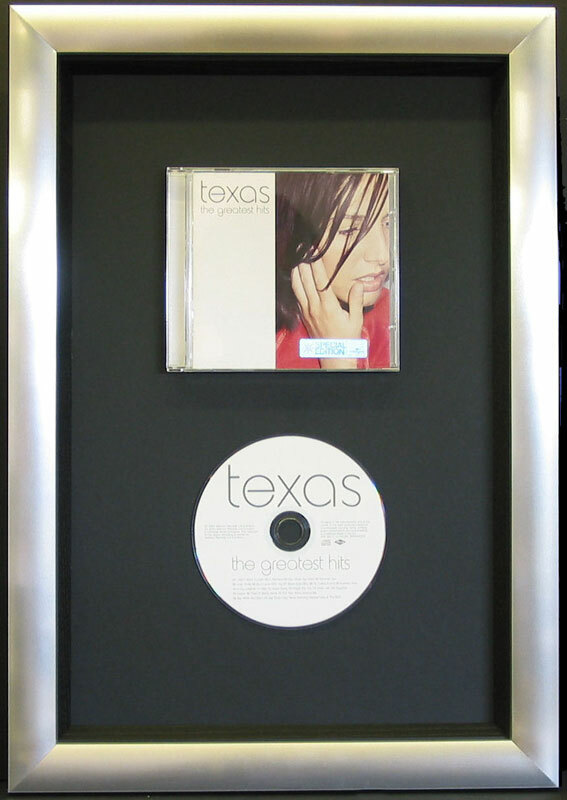 In fact we can frame almost anything ! 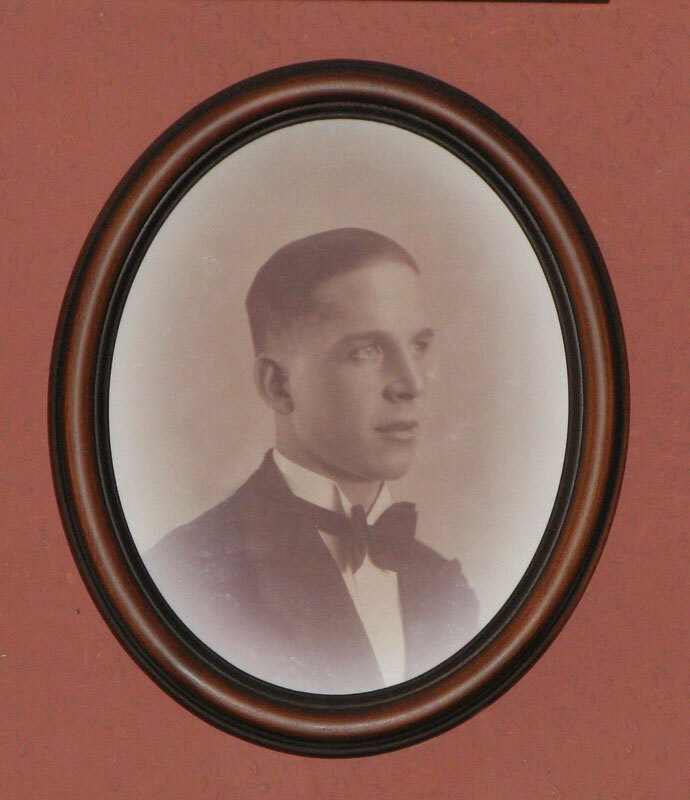 "Many people mistakingly think that all there is to framing a picture is joining four pieces of wood, but they couldn't be more wrong. 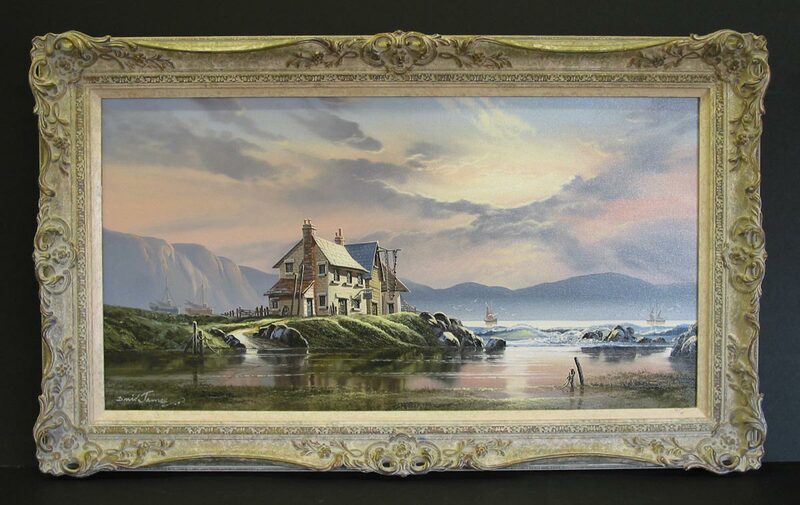 Inadequate framing can damage artwork, sometimes irreversibly, so for piece of mind why not come along to the professionals in Llandudno. " Trade enquiries are welcome, quantity and trade discounts are often available. 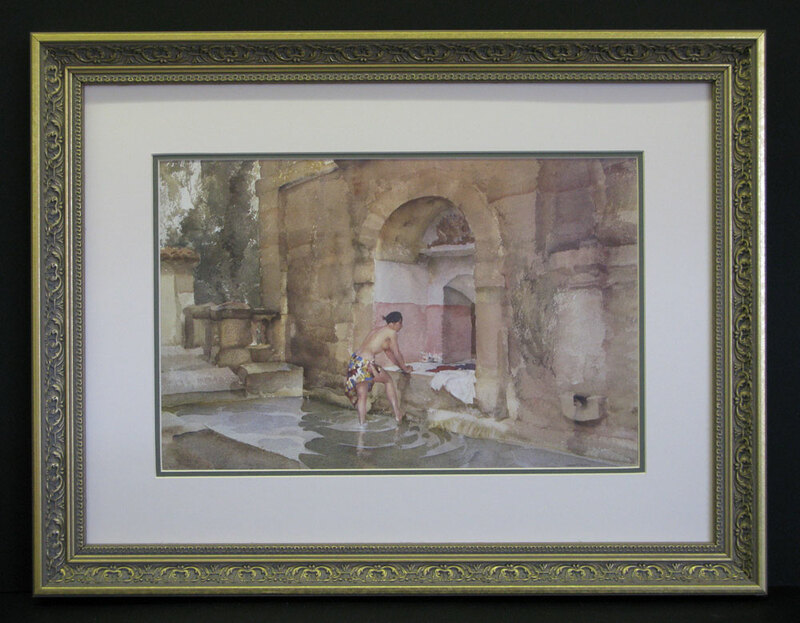 We have framed watercolours which were presented to Prince Charles and Lady Diana on their Wedding Day and pictures which are in the Duke of Edinborough's private collection. We are also the first choice for many R.C.A. 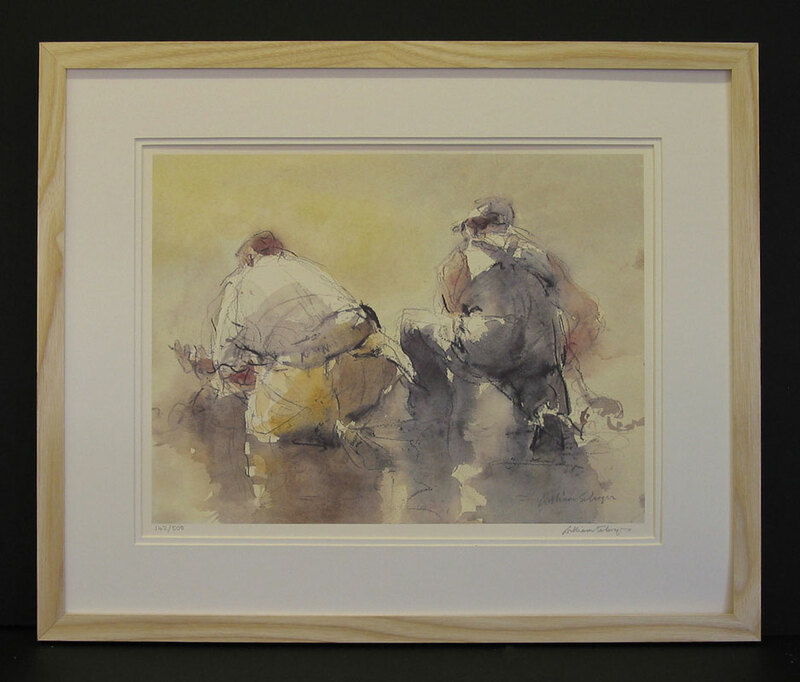 artists such as Donald McIntyre, Kyffin Williams, Ed Forrest and Tom Jones. 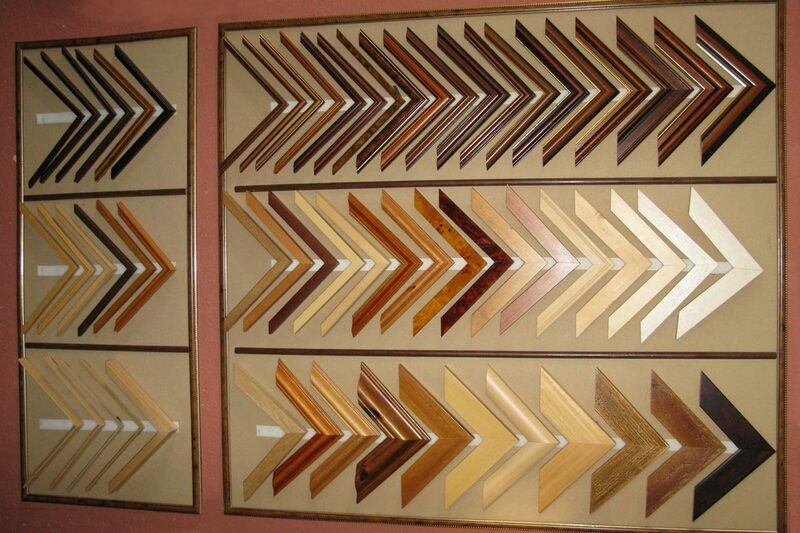 We have over 250 different styles of mouldings to chose from, all of which are permanantly in stock and can be cut to any size - they range from top quality solid oak frames to cheaper poster mouldings of various colours. 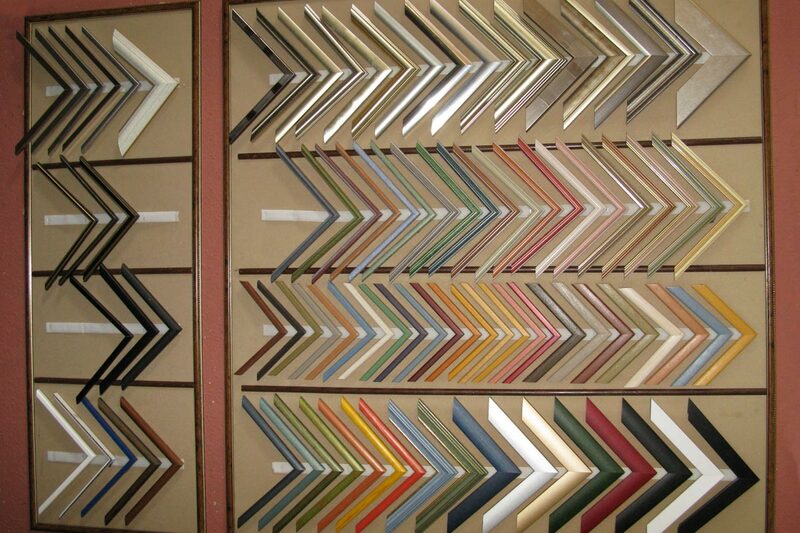 We have 60 different colours of acid-free mountboard which can be hand-cut to any shape or size. 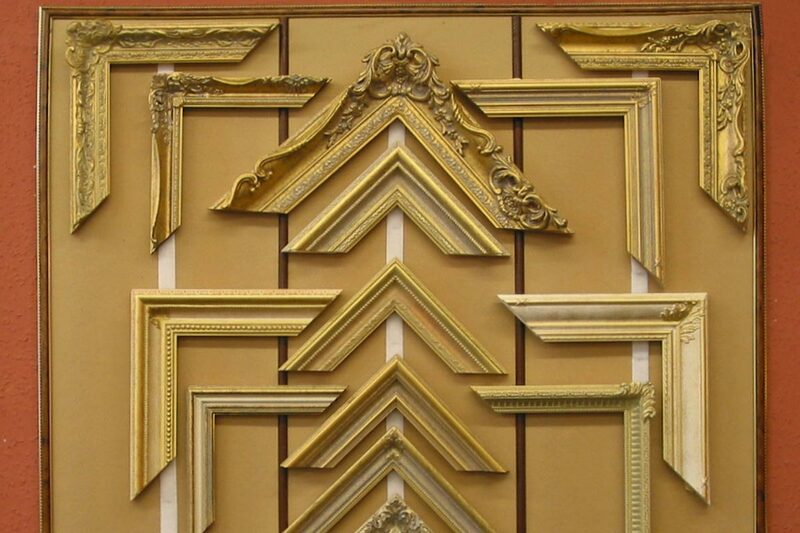 We have a large selection of ready-made, ornate swept frames, in various styles, in all the standard sizes from 6" x 4" to 6' x 4'. 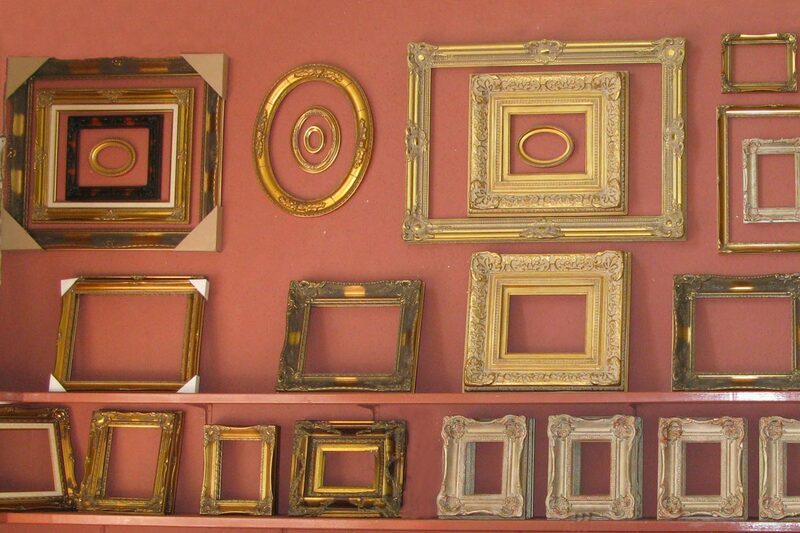 Oval frames, round frames and a selection of ready-made photo frames are also available. 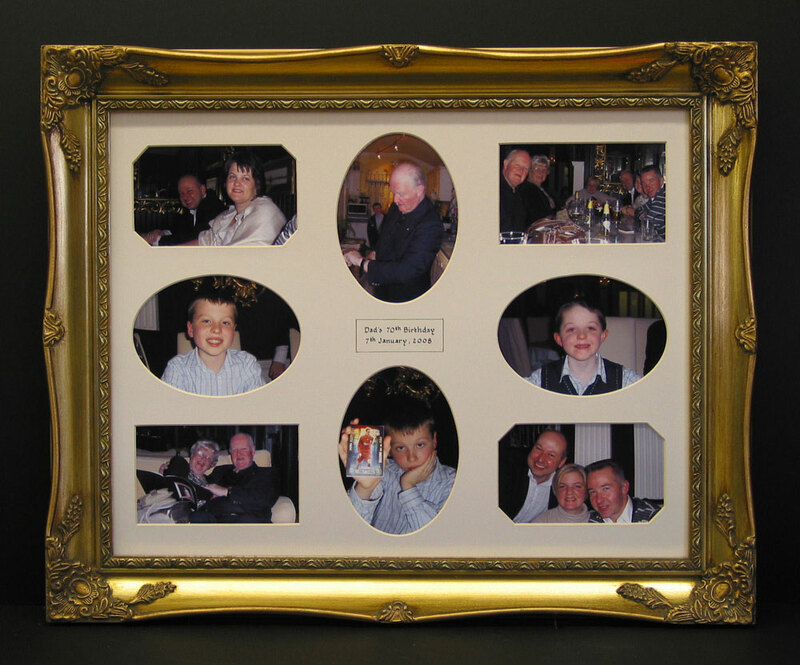 Sale frames made from discontinued lines are also available to suit the budget framers needs. Specialised mount-cutting such as wash-line mounts, offset corner mounts, cathedral mounts, oval & round mounts, double and triple mounts, mounts with multiple appertures and many other more complex mounts are available. 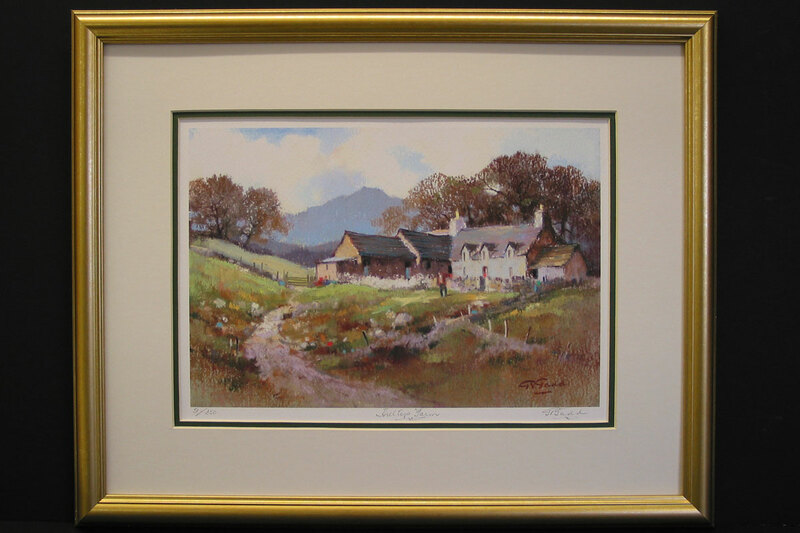 The highest quality, hand-made British swept frames can be ordered in any size, from a comprehensive range. 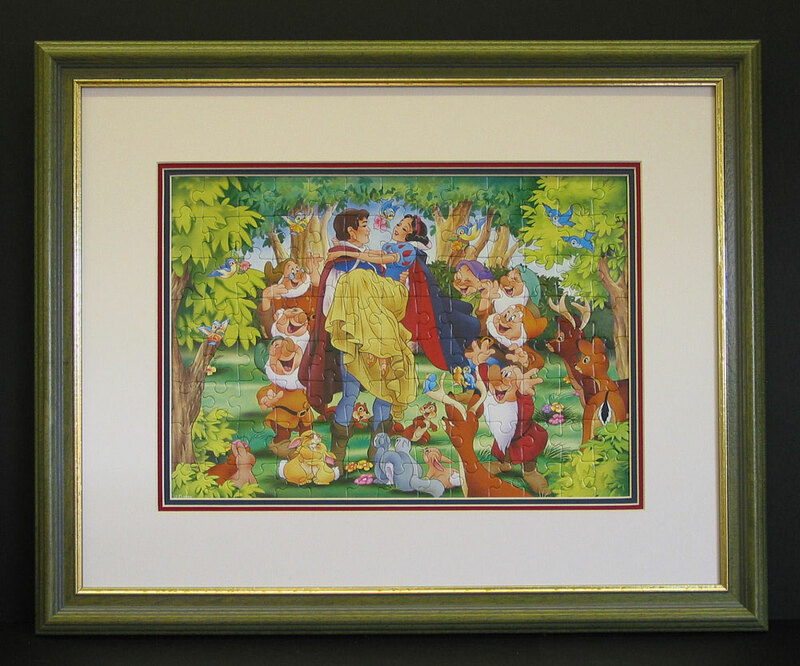 Embroideries and tapestries are expertly stretched prior to framing. 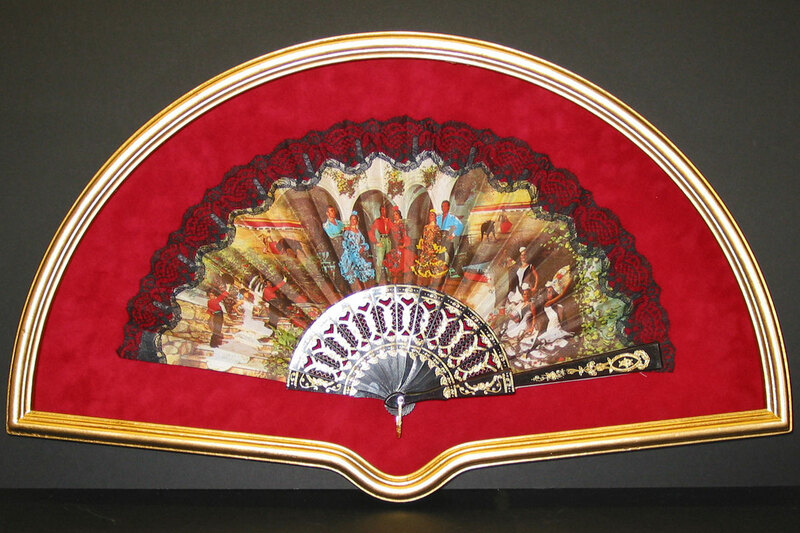 A special Dry-mounting press can be used to seal down or dry-mount artwork to eradicate any creases. 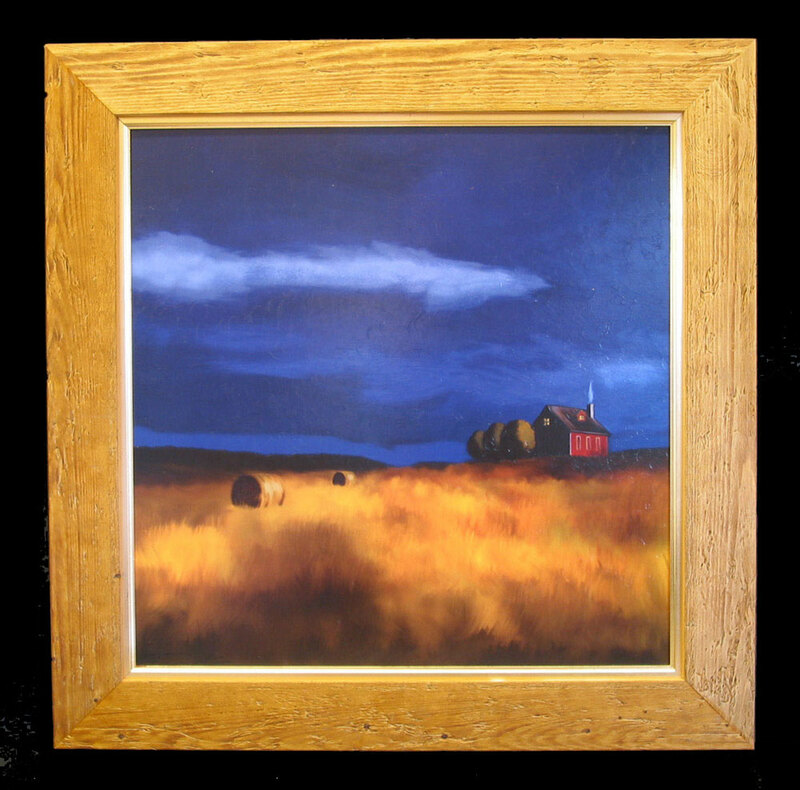 Oil Canvases and batiks can be expertly stretched prior to framing. 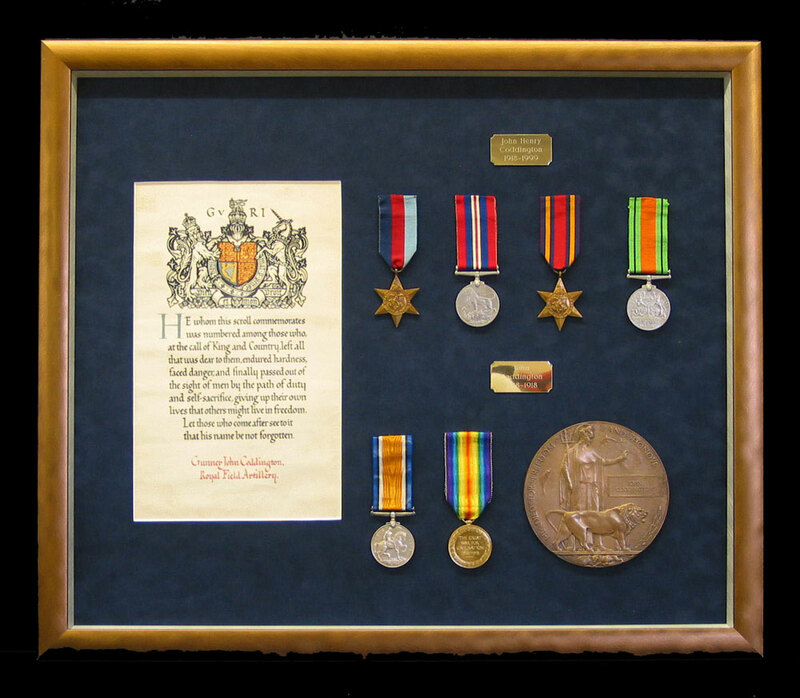 A calligraphy service is available to personalise mounts with names, dates, titles etc. 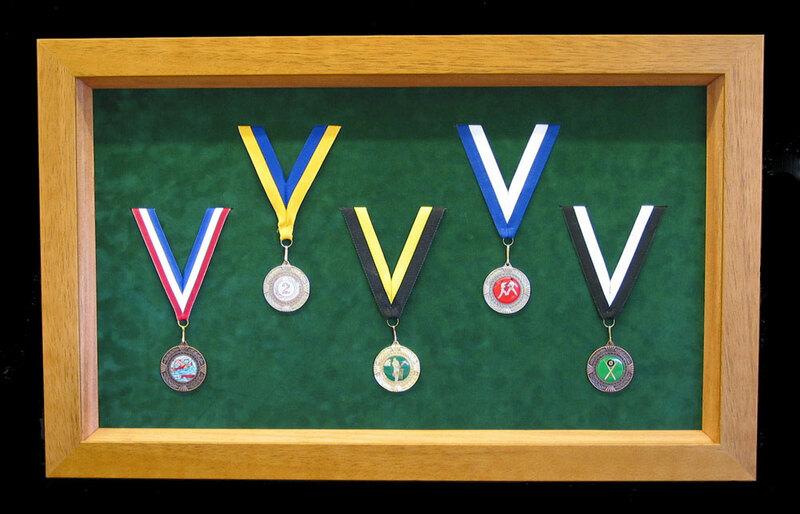 Medals can be mounted on coloured velvet or the customer's own choice of material to give a special finish to the work. 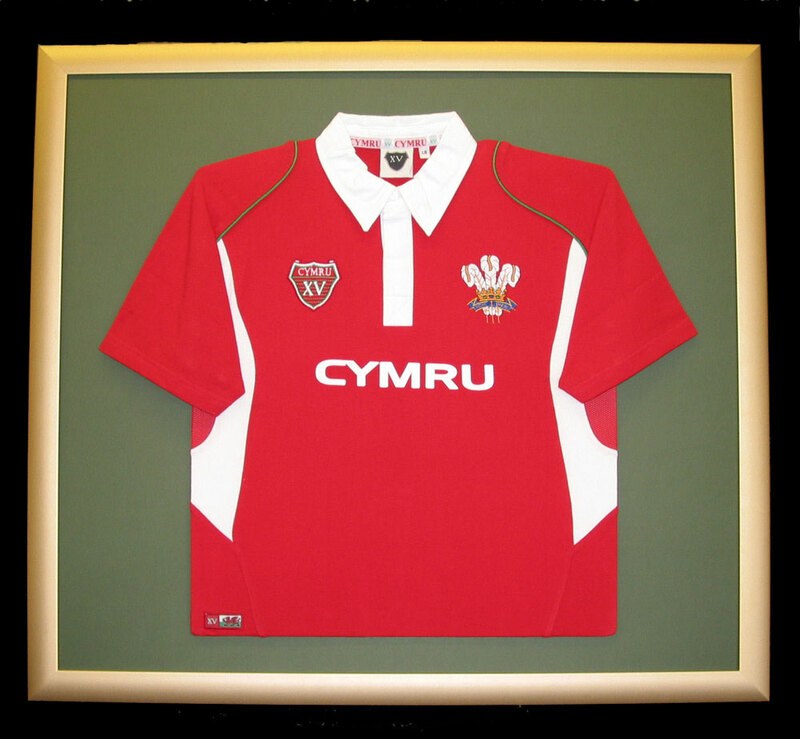 A choice of plain glass, non-reflecting glass or special UV protecting museum glass is offered. 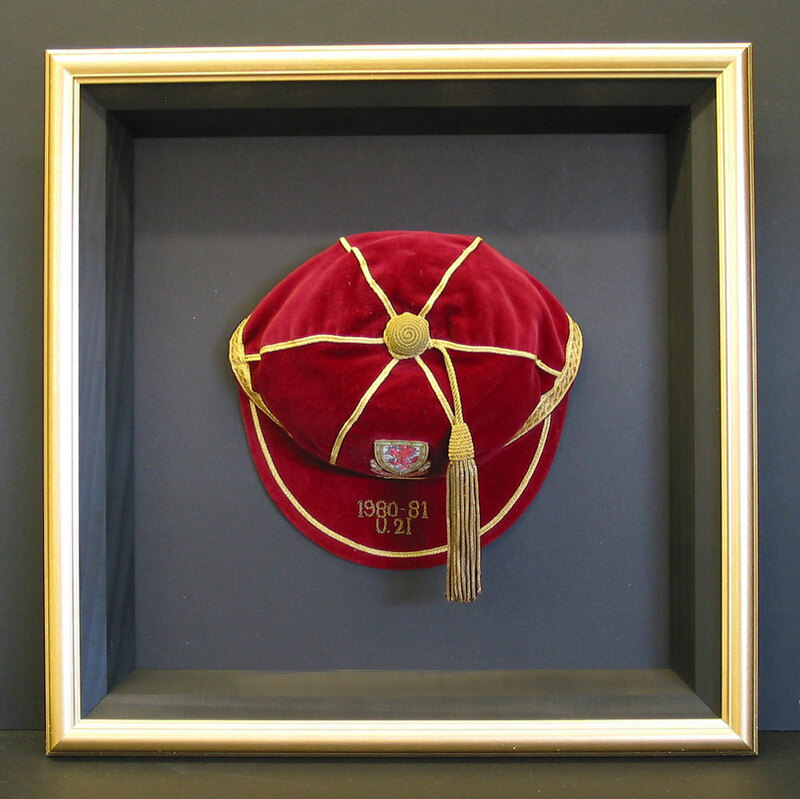 Conservation framing is available upon request.